Tarkarli is located in the state of Maharashtra, and is a village in Malvan Taluka in the district of Sindhudurg, famous and renowned for the Tarkarli Beach and all that it offers. 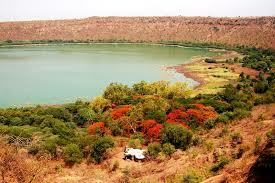 It is a cultural hotspot and perfect for vacations near Pune and Mumbai. It is a vibrant locale with temples, heritage and history. The Ramnavami Utsav is very famous in the area and is celebrated by all the locals. The festivities are held in the Mahapurush Temple of the village every year. As far as architecture goes, Sindhudurg and Padmagarh are long standing forts in the malvan area which must be visited if one is touring the region. Places to stay in the area are the Tarkarli Beach Resort, and many others providing great services and facilities. The exquisite stretch of pristine waters and soft white sand draws people to this village. Hotels in Tarkarli Beach are aplenty and cater to all kinds of travelers – people visiting for a short duration or looking for a long stay, couples, youngsters, families – and there is truly something for everybody here. Not only are the hotels close to the beach but they also provide travel guidance to the visitors ensuring that people have the best possible stay in the area. The climate is good and the scenery is simply mind blowing. The local Konkani cuisine is simply to die for and everyone touring Tarkarli must sample it. Tarkarli adventure Sports is what most people come here for and stands top among the beaches near Pune. People can enjoy all sorts of sports here and the operators take utmost care of all tourists. Boats can be hired according to one’s needs. The charges are very reasonable. Tarkarli Beach Water Sports include snorkelling, scuba diving, and much more. Tarkarli Beach scuba diving is an experience everyone must have. They even have floats for people who don’t know how to swim. Not just that, visitors can go dolphin sighting, check out the golden rocks, or head out to tsunami islands (for water sports). Tarkarli Beach Malvan is host to very clean and clear waters, where on a bright day; one could see 20 feet down into the water and still be able to locate the seabed. 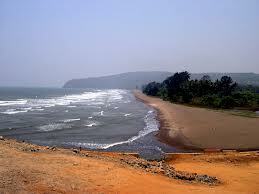 Tarkarli Beach is the best possible attraction anyone could ask for. Its secluded, has an array of great hotels to choose from in the vicinity, provides the chance for adventure through its variety in sports, is a great swimming spot, and is also perfect for doing just nothing and having a good time by lying in the sand and enjoying the sights. Restaurants and Hotels: Tarkarli Resort, Tarkarli Hotels and Resorts. Medical facilities near By: Ankur Hospital, Redkar Hospital Research Centre, contact No. +91 2365 253 115. 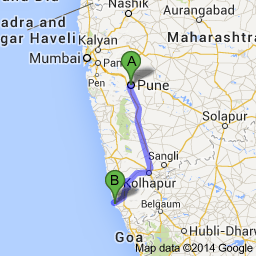 Route Description: Map will be helpful to reach Tarkarli from Pune. Emergency Contact: Achara Sagari Police Station Maharashtra State Highway 181, Gaudwadi, Maharashtra 416626, India, contact no. – +91 2365 246 100 ext.